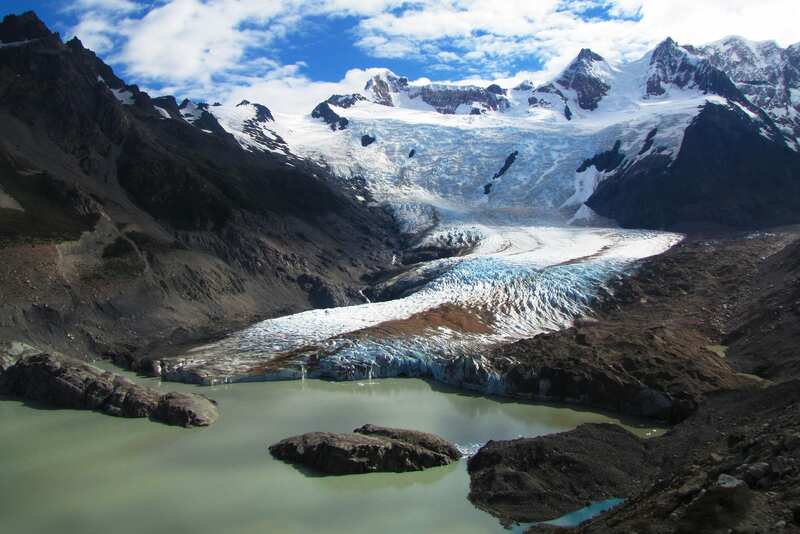 Hike to the most coveted sites in Los Glaciers National Park. 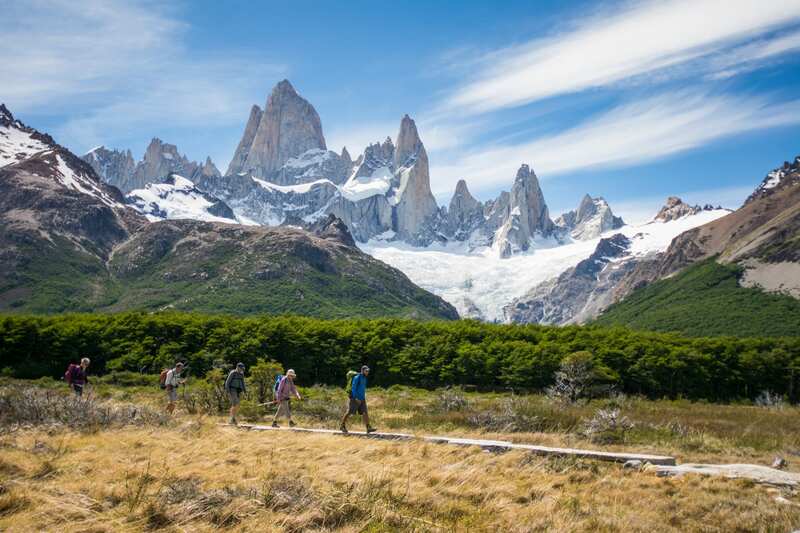 From the massive Puerto Moreno Glacier to the iconic Fitz Roy mountain in El Chalten, you get a hight dose of Argentinian region of Patagonia. The trip starts every day either in EcoCamp Patagonia, Torres del Paines at 9:30 am or at El Calafate at 1:30 pm. The trip finishes at Calafate Airport at 10 am. For those taking the extension to finish in Punta Arenas, the trip finishes at Punta Arenas Airport on day 7. For domestic flights, you have to be at the airport 1 hour before the flight leaves. Waking up early, we’ll kick off with a drive to the Cerro Castillo border with Argentina. 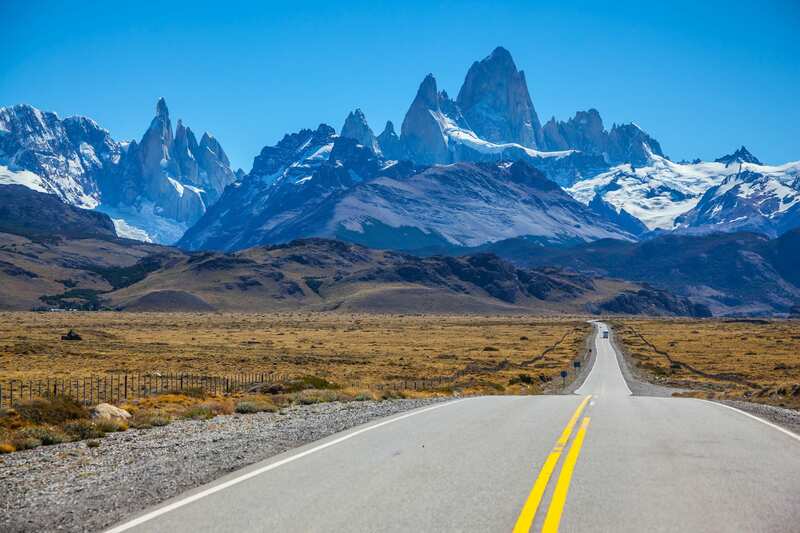 Then, after passing through customs, we will continue to El Calafate, a small town set on the edge of Los Glaciares National Park, bathed in dramatic scenery and natural beauty. If there are fellow travelers starting the trip in Calafate, we’ll meet them in town. In Calafate, a local guide will meet us and give us a trip briefing as we tuck into lunch. 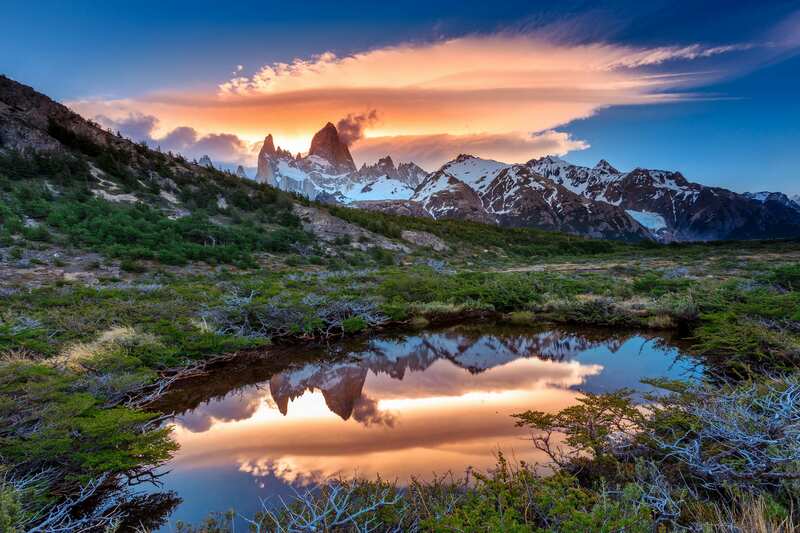 Next, we will continue with a semiprivate transfer to El Chalten, a tiny outpost beside Los Glaciares National Park, and at the foot of the impressive Mount Fitz Roy. 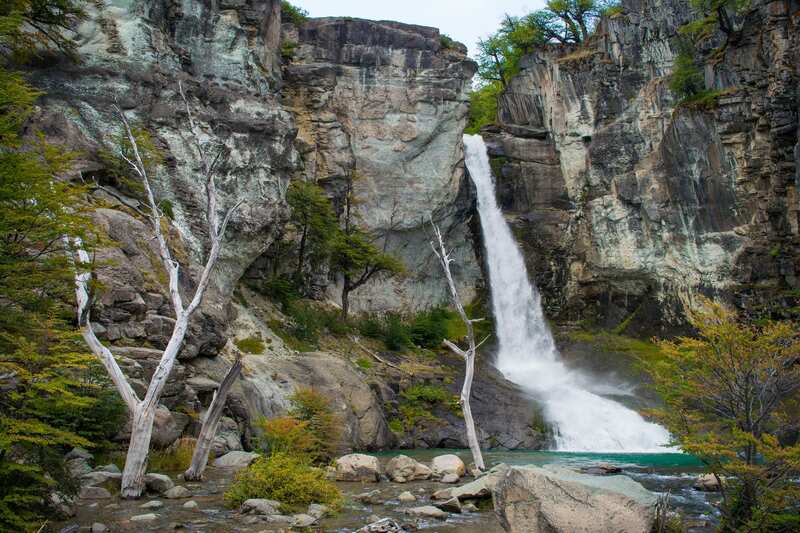 The drive will take us across isolated dirt roads, through the pampas and along the northern end of Viedma lake. 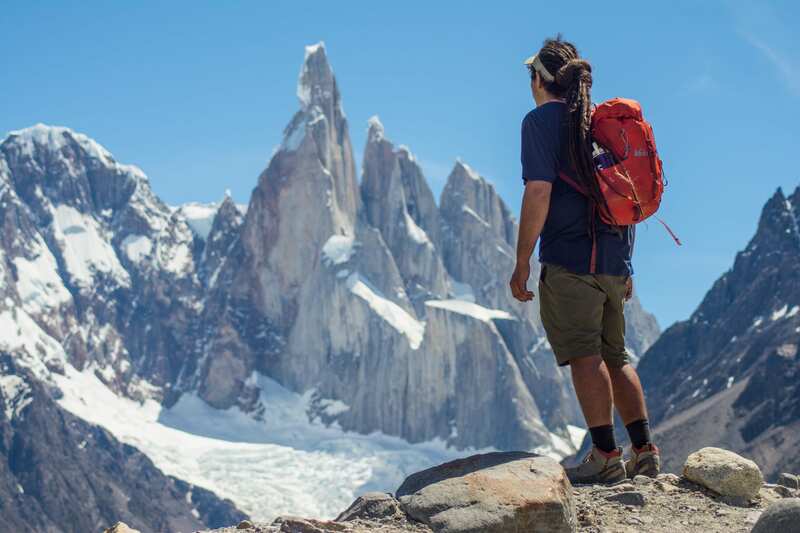 Once we’ve checked into our hotel in El Chalten, it’s time to get some rest and prepare for the upcoming days. 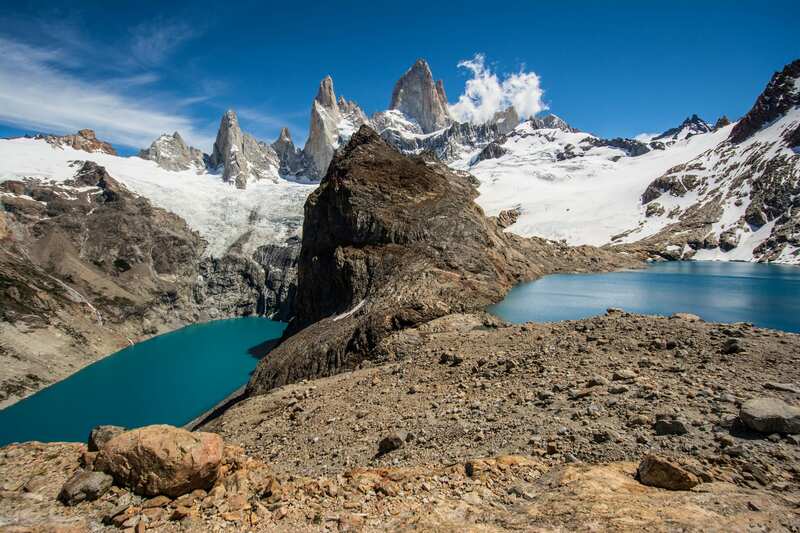 Today we do a full day hike along the Cerro Torre trail to Laguna Torre, a stunning mountain lake with the majestic Mount Torre in the background. We set off after breakfast walking eastwards following the trail through beech forests towards Fitz Roy river. We continue towards Base Camp de Agostini and then do a short hike to Laguna Torre, admiring the western view of Cerro Torre and the Adela range. Icebergs can be seen peacefully floating on Laguna Torre as the wind pushes them towards the coast. We stop at various points to appreciate the magnificent view and enjoy a picnic. Later, we return to Chalten following the same trail. Upon our return, we are free to enjoy a delicious dinner at one of Chalten’s cozy restaurants before heading back to our hotel from the previous night. 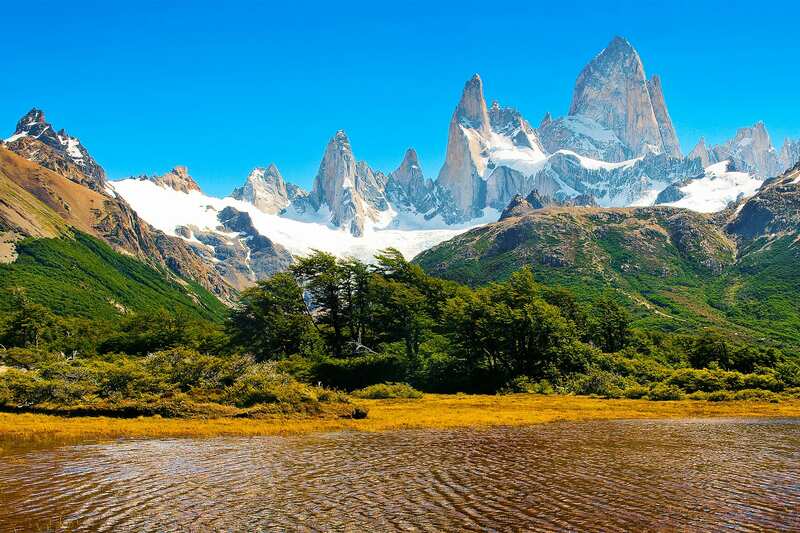 Today we trek to Laguna Los Tres, with a great view of Mount Fitz Roy - the landmark of Los Glaciares National Park! We begin our hike by heading towards Laguna Capri, passing its northern corner. 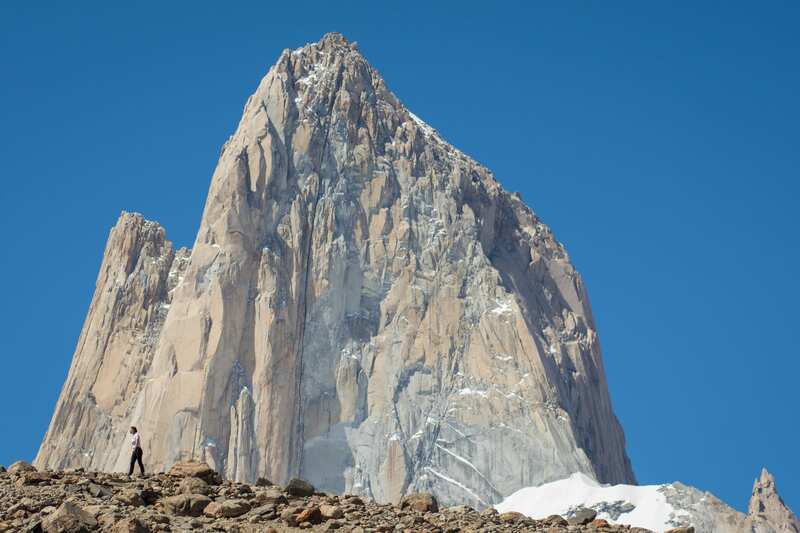 Then we follow the Fitz Roy Trail up to Blanco river, passing the mountaineering camp Poicenot. 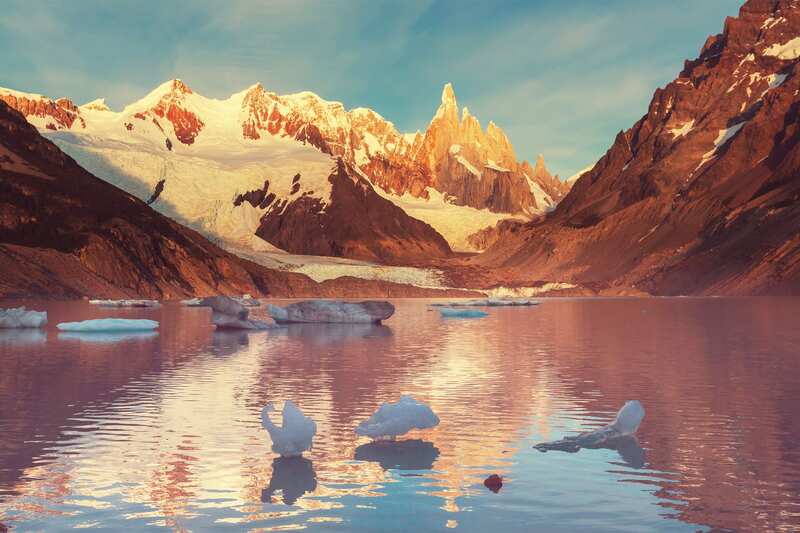 Finally, a short steep trail takes us to Laguna de Los Tres where we witness one of the park’s most marvelous natural scenes - the turquoise-blue of the lagoon framed by Fitz Roy’s spires and glaciers. Here is the perfect time to enjoy our picnic and soak up the scenery while relaxing in such a memorable place. When everyone’s ready we hike back to Laguna Capri and continue along the trail back to tiny Chalten to spend the final night in our hotel here. 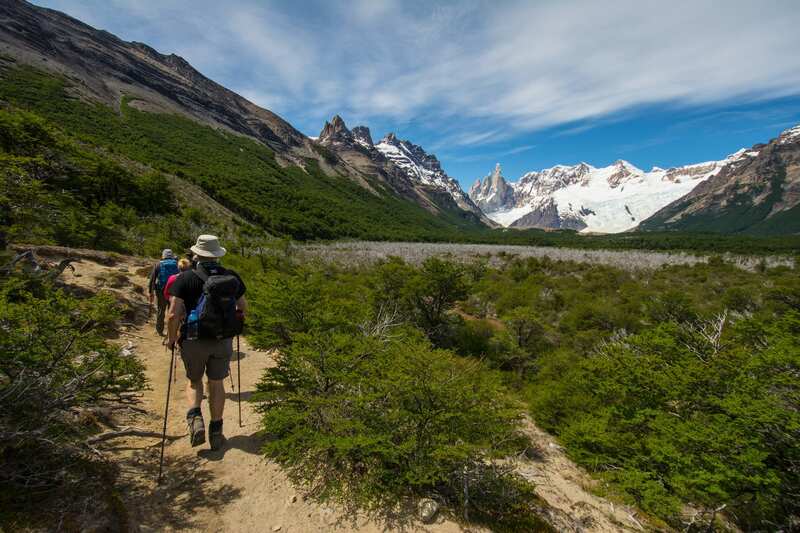 After an hour or so of walking a slight incline and forging our path through some enchanting woods of lenga beeches and ñire trees, we will stumble upon an open space called the Pampa de las Carretas, providing us with panoramic, stunning views of Mount Fitz Roy, Cerro Torre, and the Huemul glacier. The path will then curve back into the leafy forest, where we will no doubt be lucky enough to spot many native bird species. As the forest thins, we will find ourselves in a bleaker, more mountainous landscape, with the path leading us to the Pliegue Tumbado viewpoint. During this stretch, we’ll have no trouble finding marine fossils, such as ammonites and belemnites, which are over 100 million years old. 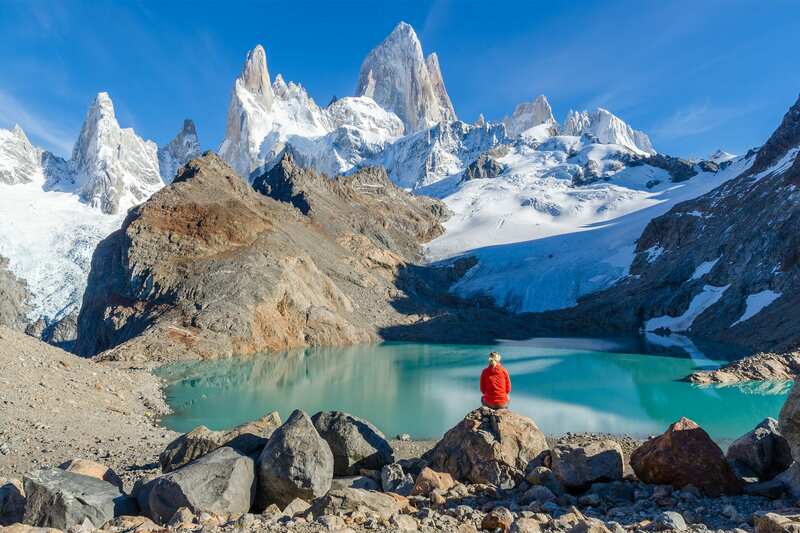 This viewpoint will give us a spectacular view of almost the entire area: the Fitz Roy River Canyon, Cerro Torre and the glacier, the Madre and Hija Lagoons, Mount Fitz Roy and even the Cóndor Lagoon. Casting your eyes out from a different angle, you’ll glimpse Lake Viedma and the Túnel River Valley, as well as the Paso del Viento, the entrance point to the Southern Patagonian Ice Field. 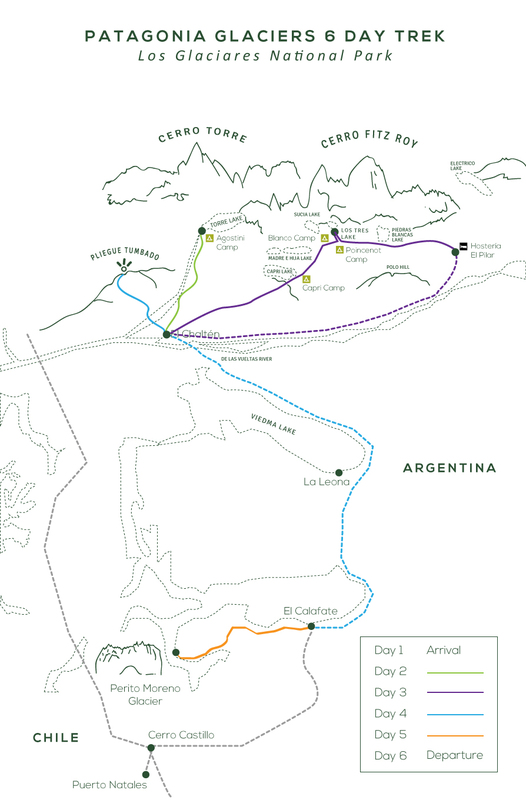 We will then return to Chalten to gather our luggage and begin our semiprivate journey back to El Calafate, following the same pampas-lined roads which welcomed us upon our arrival. Once we get back to El Calafate, you can check out a nice place for dinner before heading back to the hotel. We enjoy an early breakfast and board the minibus heading to Perito Moreno glacier. After a couple of hours, we reach Los Glaciares National Park and continue driving to Bajo de las Sombras bay sector where we board the boat that sails approximately twenty minutes on Lago Rico to reach the southern wall of the glacier. On the otherside, the guide gives us a short talk about the formation of glaciers with other interesting details about local geology. From this point, we do a short walk to the edge of the glacier where we’re given the crampons to be fitted to our shoes. Now we start the ice trekking adventure! As we walk ahead we have spectacular views of the glacier and its surroundings. Our trek finishes at a little ice bar serving whiskey on freshly chopped millenary ice from the glacier. After having lunch, we continue to the footbridges with multiple viewpoints of the glacier’s incredible north side with its mighty cracking walls. Here we’re free to enjoy the surroundings at our leisure. After the thrilling encounter with the glacier, we drive back to Calafate for the final night in our hotel here. 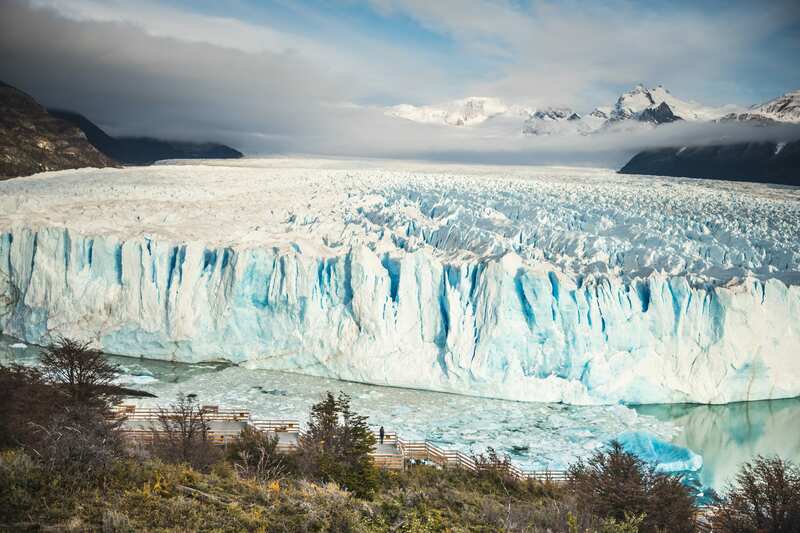 Alternatively, you can choose to do the "Big Ice" glacier hike also on Glacier Perito Moreno (additional costs apply - age limit 18 to 50 years old). 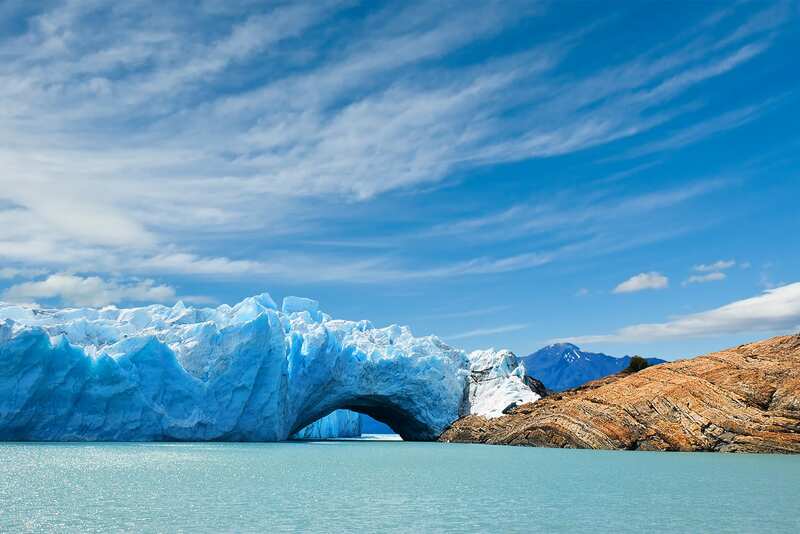 Trek to the heart of Perito Moreno Glacier, crossing ice crevasses and exploring ice caves along the way! The excursion begins with a boat ride across the lagoon, departing from “Bajo de las Sombras” port. During the navigation, we admire the imposing ice wall of the glacier that we will soon walk on. 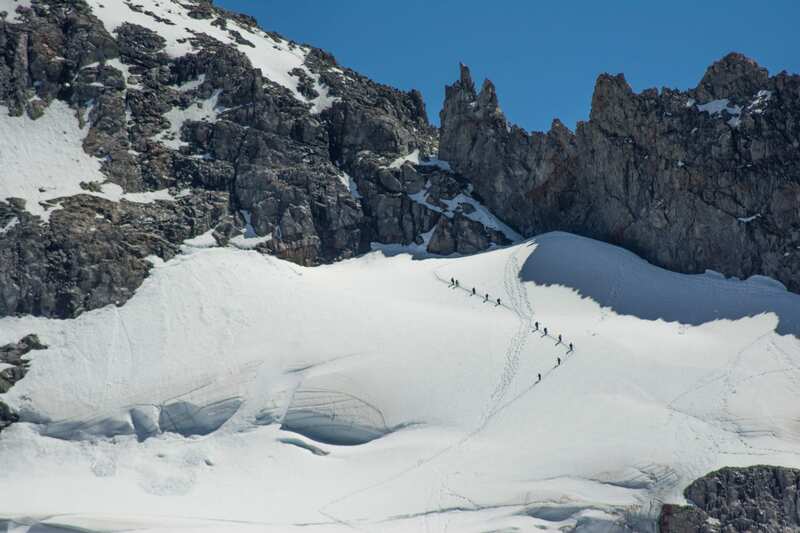 After disembarking, we hike for 1.5 hours across the moraine to reach the access point of the glacier. As soon as we put on our crampons, we are ready for the big ice hike. 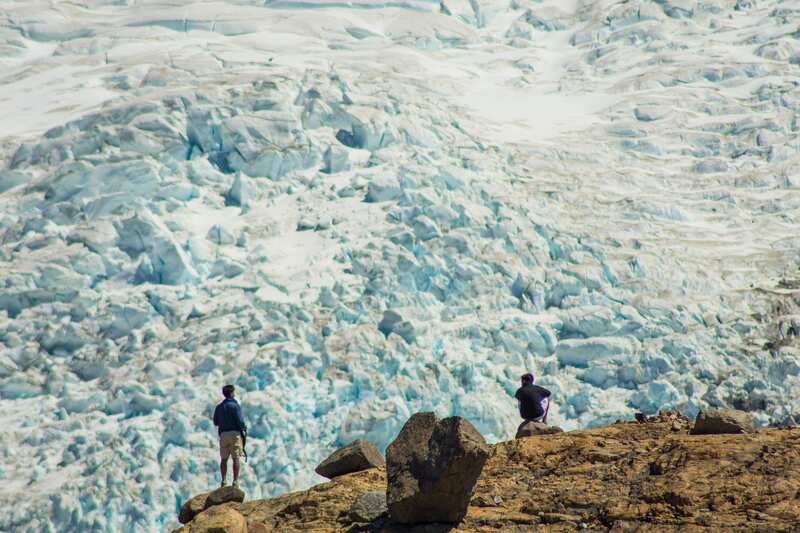 With our knowledgeable bilingual guides, we will trek deep into the glacier, full of creaks, cracks, and caves. Our physical efforts will be rewarded by the glacier revealing all its splendor as we get closer and closer to its heart, where we have lunch surrounded by the deep blue of the million-year-old ice. After the hike, which lasts about 3.5 hours, we head back the same way and cruise on the lake for 20 minutes, during which we get within a hairbreadth of the southern wall of the glacier. Please see the price section for additional costs. N.B. Due to operational insurance issues, the age limit for doing the ice trekking on Perito Moreno Glacier is 65 years old. If a passenger exceeds this age then an alternative excursion to the Glacier will be arranged. Today marks the end of our memorable trip... Adios Patagonia, hopefully, we’ll meet again! After having breakfast, a transfer will take us to the airport and we’re free to continue traveling on our own or to take another extension. Once we’re ready, an early transfer will take us to the Calafate bus terminal. There we board the public bus going to Puerto Natales, arriving around midday. A Cascada representative will be waiting to take us to the office. When we're ready we board the next public bus going to Punta Arenas city, where another Cascada representative will be waiting to arrange the transfer to the hotel. We have breakfast and will be driven to the airport. B: breakfast, BL: box lunch, D: dinner.